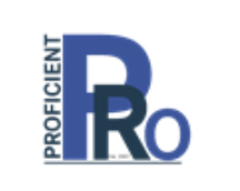 At Proficient Pro, Inc., we aim to share our knowledge, expertise, and abilities with all our clients through business coaching and consulting services. In addition to serving as business consultants, we offer a variety of services that go beyond business consulting and business coaching. We are here to offer our creative abilities and expertise to push your business venture to the next level. Your success is our success (and we truly mean it). Our creative team’s goal is to get things done in timely manner and on professional level. Have us do a logo design or revamp! Our creative team’s goal is to get things done in timely manner and on professional level. Basic logo design with two logo designs starting at $250. Inquire for additional packages.